As thousands of hopefuls queue up to apply to become extras for the filming of "Clash of the Titans 2", here's a report from someone who was amongst them. Nice video tour of the island of La Gomera, with place names, titles and snippets of information, usefully, provided in English. Wonderful video in the Parque Garajonay in La Gomera; the sounds of the running water and the birdies singing give you the nearest to an authentic experience as you will get, other than being there. "The Public Health Department is following established guidelines and procedures as for any other outbreak of an infectious disease in order to prevent its spread. " 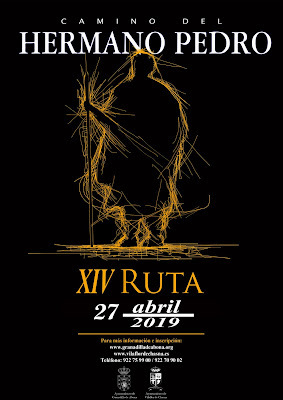 "In Tenerife, as all across Spain, Holy Week is a deeply sombre affair featuring masses, blessings and processions, the most important and reverent of which take place in the former capital of La Laguna. But you’ll find events taking place right across the island in Santa Cruz, Los Realejos, La Orotava, Puerto de la Cruz, Garachico, Arona and Adeje." "Just over fifty years ago Los Cristianos was still a small fishing village, then a Swedish broadcaster suffering from MS found its climate had curative effects, shared his discovery with the world and the rest, as they say, is history. Nowadays the resort has grown into a thriving holiday destination. Although it has been outgrown by it’s newer neighbours, Los Cristianos has one quality that Playa de las Américas and Costa Adeje don’t; it’s still a Canarian town at heart." "Opportunistic investors chasing cut-price prime commercial property in recession-hit Spain have helped push the sector’s total returns into positive territory for the first time in two years, a survey has found." "This year, BMX, motocross, climbing, graffiti, skateboarding, live music and children's activities will compliment the leisure and sports event, which has become a huge success with full media coverage, revitalising the area and promoting Puerto de la Cruz as a desirable tourist destination." "Here’s a unique map we recently found hidden on the Cabildo website. It’s a traffic density map of Tenerife showing the average number of cars per day on each road (numbers marked in bold). " "It was another good week for weather on Tenerife with many parts experiencing lots of sunshine and temperatures that rose into the mid twenties towards the end of the week especially, as predicted, on Thursday when it felt more like summer temperatures than spring." "The secret that the pool dwellers don’t realise is that travellers like us don’t just enjoy the cultural experience…we get the beach and bars as well as stockpiling some great memories that live on way, way, way after the suntan has faded. "